If you are a registered voter in the area designated for the downtown Transportation Development District (TDD) you can order your ballot to vote to create the district starting today, Monday April 30. This is a mail-in ballot election. Jackson County Circuit Judge Charles Atwell ruled on Friday that the district would be legal and the proposed financing plan is does not produce an undue burden on property owners. The plan is not unjust or unreasonable. Ballots will be mailed on June 19, 2012, to those with a timely and valid application. Ballots will be due for return no later than 5 p.m. on July 31, 2012 in accordance with instructions on the ballot. The result of the Federal Tiger Grant application for $25 million is expected this summer. We sincerely hope to get that money. Tell all your transit friends in the TDD to request a ballot. After the voters create the district, a second election is scheduled for the fall to vote for the financing plan. After that, Streetcar here we come!!! KCATA recently began implementing service changes based on the Comprehensive Service Analysis completed in 2011. KCATA received over 700 comments on proposed route changes for 55 routes, and 24 route changes were modified based on public input. 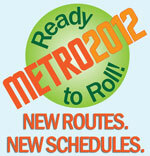 Changes have been implemented on a few routes, and changes on 21 additional routes will take effect in July. Additional changes are scheduled for October and next January. See the Implementation Schedule. Please evaluate the remaining alternatives and let the project team know your preferences based on the information currently available. Additional detailed information should be available, including a range of costs, ridership numbers, travel times and potential financing options. The study is not complete and your input is valuable. The project consultants expect to complete the study in early summer. Downtown is about to enter the next phase of building a streetcar line from River Market to Crown Center. The line will be 2.2 miles long and is estimated to cost $101 million. The City has applied for a $25 million grant from the Federal Government to help fund the project. The money will be hard to get because the competition for federal dollars is fierce. Over 700 applications amounting to $10.5 billion dollars in requests were made for the $500 million dollars available. Local support and a local funding mechanism make a big difference to the federal process. 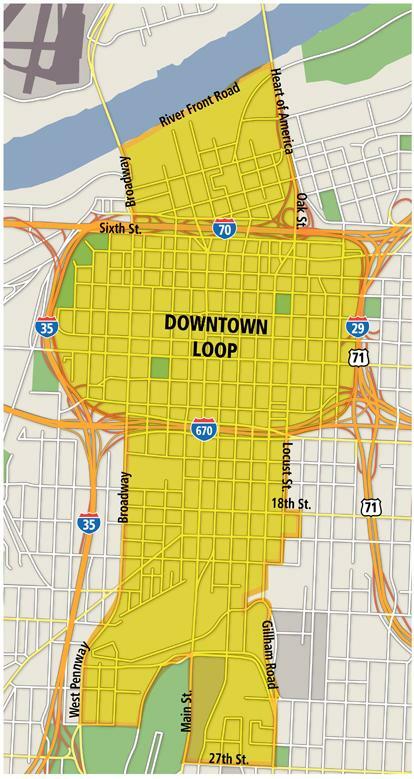 Downtown property owners and retail customers will be asked to pay the difference between the project cost and the federal contribution through the formation of a Transportation Development District. 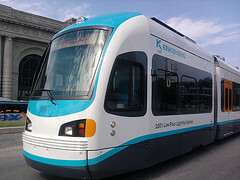 Financing the streetcar is a huge hurdle for Kansas City citizens and particularly downtown property owners to overcome. Now is the time for local action. 1. Take part in the public hearing April 17. The judge will hear testimony for and against the creation of the Transportation Development District (TDD). You don’t have to speak at the hearing, but show up for support and to make a big impression. TAN intends to speak in favor of the streetcar project and the formation of the TDD. Businesses and property owners can object to the formation of the TDD if they feel the structure is unfair. After this hearing it is up to the judge and the voters. 2. Make sure you are registered to vote, if you live in the Transportation Development District (TDD). If you aren’t registered – GET REGISTERED! ONLY REGISTERED VOTERS WILL HAVE A SAY IN WHETHER OR NOT THE TRANSPORTATION DEVELOPMENT DISTRICT IS FORMED AND WHETHER THE STREETCAR LINE IS BUILT. 3. Follow Streetcar Neighbors on Facebook. 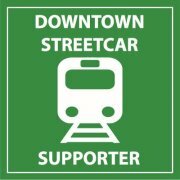 Streetcar Neighbors is a group of downtowners dedicated to making the streetcar happen. If downtown voters create the TDD then there will be an additional election later in the summer to create the necessary funding. The city is actively trying to find alternative funding sources to cover the costs of building and operating the streetcar. April 17 – TDD public hearing – BE THERE! MoDOT is about to finalize a statewide plan for rail service, both passenger and freight, and is holding another round of open house meetings to get comments. The Missouri State Rail Plan FINAL DRAFT, reflects previous input from citizens, freight railroads operating in Missouri, shippers, and economic development and transportation agencies. The plan is the Missouri Department of Transportation’s 20-year strategic framework for passenger and freight rail development in Missouri. Enhancing passenger rail and improving freight rail access are among the top recommendations. MoDOT wants to know what you think. Join them at this upcoming public meeting. The meeting site is wheelchair-accessible. The Invitation includes dates and locations for other open house meetings throughout the state. If you can’t attend this meeting, you can participate in the online meeting at www.morail.org April 10 through May 4, 2012. 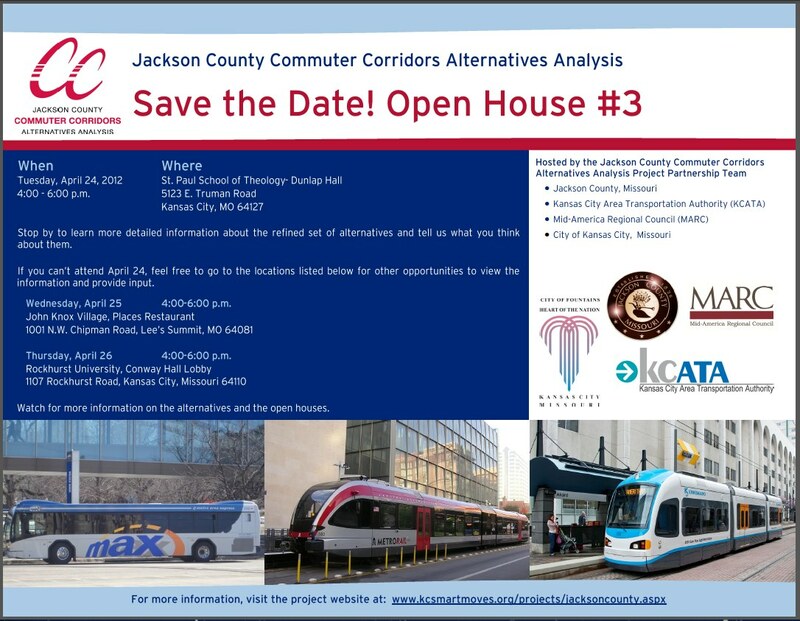 The Stakeholders Advisory Panel for the Jackson County Commuter Corridors Alternatives Analysis (JCCCAA) met March 14. Parsons Brinckerhoff, the lead project consultants,updated information about the I-70 Corridor and the Rock Island Corridor. The Grandview corridor was not discussed. Potential alternatives for the Grandview corridor will be affected by the outcome of the Alternatives Analysis for the I-70 and Rock Island corridors. Effectiveness measures assess the extent to which the alternatives address the stated needs in the corridor. Cost-effectiveness measures assess the extent to which the costs of the alternatives, both capital and operating, are commensurate with their anticipated benefits. Feasibility measures the financial and technical feasibility of the alternatives. Financial measures assess the extent to which funding for the construction and operation of each alternative is considered to be readily available. Technical feasibility assesses potential engineering challenges or restrictions that could limit the viability of an alternative. Impacts assess the extent to which the alternatives could present potential environmental and traffic issues that could be fatal flaws or otherwise influence the selection of a preferred alternative. The consultants identified performance on the Common Segment, the section of the alignment where the two corridors come together and share the street or rail line, as a deciding factor in this level of evaluation. Consultants evaluated the common segment for five items touching on three of the FTA perspectives. The “Poor” result in the common segment for Full Regional Rail is understandable if you consider the implications of running a large DMU (Diesel Multiple Unit) for miles on city streets and through neighborhoods. (See video Discussion About The Regional Rail Alternative for the JCCCAA) The DMU has the ability to run on freight lines as well as streets. Last year TAN identified the Common Segment as the most challenging issue for the Regional Rail alternative. Once the rail leaves segregated rights-of-way and moves onto city streets many problems arise. (See Consultants Face Big Challenge Studying Regional Rapid Rail ). 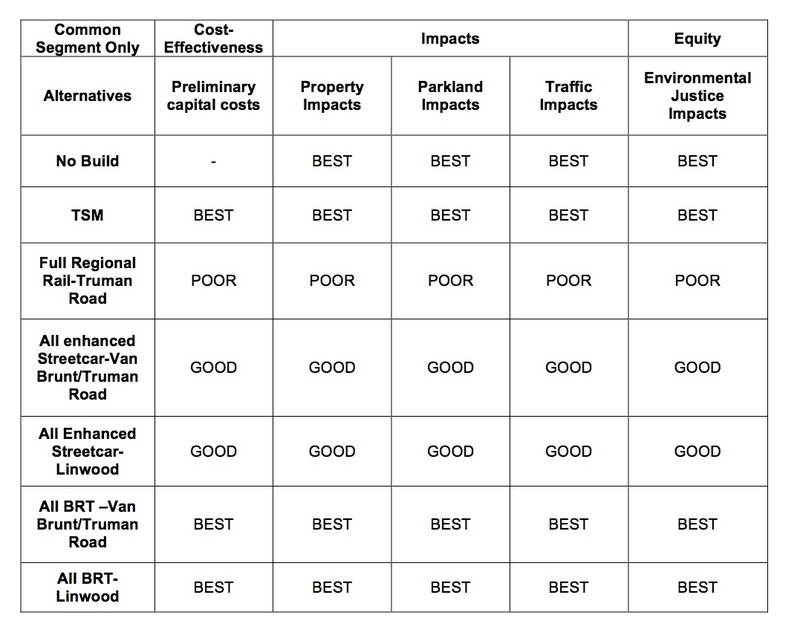 For these criteria, TSM (Transportation Systems Management), which includes Enhanced Express Buses, and the BRT options look the best. However, there are additional criteria to be evaluated. Full Regional Rail using a DMU on Truman Road or the Trench Embankment is eliminated. See Consultants JCCC AA March 2012 SAP Presentation. TSM including Enhanced Express Buses is included in the alternatives advancing for further evaluation although it isn’t listed on Slide 14. Since all of the original commuter rail alternatives using a DMU have been eliminated, another version of commuter rail that doesn’t use city streets or transfer at the Sports Complex is being re-considered. In Tier One of the study the consultants looked at an alternative that kept the DMU on rail lines and went through the rail yard in the Northern Industrial District by the Missouri River before heading up to the River Market to Third St. and Grand Avenue. In 2007 this alignment, which goes through the Knoche rail yard, was studied for the I-70 corridor and rejected in the near term for commuter rail. Since then, significant changes have been made to that yard making it unsuitable for commuter rail. However, the Neff rail yard, which is slightly south of the Knoche rail yard, is being investigated for feasibility. If the consultants decide this alternative has potential they will add it for a Tier Two level analysis. In this scenario, the rail alignment would stay on the Rock Island and KCS lines and come together in the vicinity of Rock Creek Junction, east of the rail yard. There are considerable challenges for this alignment including getting through the rail junction and the rail yard. Alternatives that are advanced in the study will go through further analysis such as ridership numbers, financial feasibility, constructability and economic development potential. Although everyone is impatient to get concrete numbers to compare alternatives, a study of this size would normally take a couple of years to complete and this study is being squeezed into a very short time frame. The consultants were only chosen in April of last year. Project leader Shawn Dikes said Parsons Brinckerhoff is working to create a complete transit package, which would consist of the Locally Preferred Alternative (LPA) from this study as well as improved transit service to support the LPA. TAN feels it is extremely important to construct a complete transit package to take to the voters. Besides the study update at the Stakeholders Advisory Panel meeting, there was a short talk by former Congressman Martin Frost about the Transportation Bill being debated in Congress. He believes the final version will be similar to previous transportation bills, although the House Speaker is having a hard time getting his party to agree to a version that can pass the House. Michael Zuhl, a consultant with R&R Partners, gave a short talk about the transit education campaign for Jackson County. The consultant team is pulling out all the stops to find the best alternative for commuters in Jackson County. They are trying multiple combinations of vehicles and lots of alternative alignments. Jackson County should feel comfortable that the process is working well and it should be happy to go to the voters with the Locally Preferred Alternative resulting from this study. The Project Team met March 23 and County Executive Mike Sanders and Mayor Sly James went to Washington, D.C. to meet with officials about the transit initiatives underway. This level of cooperation and coordinated transit effort is unprecedented in our region.